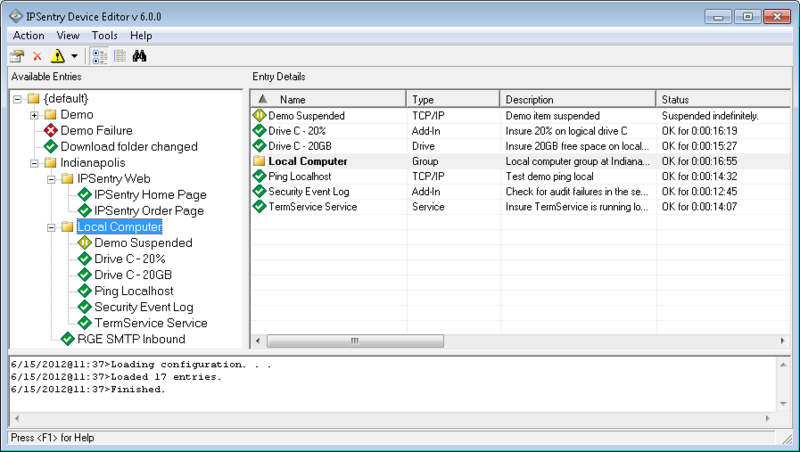 At the core of the IPSentry UI is the standardized device editor using familiar explorer style interface, device groupings, and state informative icons allowing for immediate visualization of critical devices, up time state, suspend and resume status, and many other aspects of the devices being monitored. This is the starting point for all configuration of monitored devices within IPSentry. See more details in our help documentation.